2016 Golden Globes Best Actress In A Comedy Category Is Basically Your Ideal Girl Squad, So Who Cares Who Wins? One of the amazing things about the Golden Globes is that they don't only represent television and movies, but they also proudly separate the film category into that of Drama vs. Comedy/Musicals. Therefore, leaving the floodgates open for tons of comedic talent that may not get their time to shine against the drama contenders once Academy Awards time comes around. And the recently announced 2016 Golden Globe nominations for Best Performance by an Actress in a Comedy/Musical category have to be what I believe to be one of the greatest compilations of female comedians to have ever been placed together. The nominees are... Jennifer Lawrence for Joy, Melissa McCarthy for Spy, Amy Schumer for Trainwreck, Maggie Smith for The Lady in the Van, and Lily Tomlin for Grandma. Yes, you read that correctly. And, I know. If these aren't some of the fiercest women to have ever been placed alongside one another, then I don't know who is. And the best part? We're probably going to see them cross each other's paths multiple times during all of the Golden Globe parties and crazy award season red carpets. This is just the beginning of the tons of antics that are bound to ensue. However, the worst part? They're all up against each other. Totally not cool. Can whoever wins please just break up the award and throw pieces of it to their fellow nominees Mean Girls-style? Honestly, I can actually see something like that happening. Anyway...Does it really matter who wins at this point? Lily Tomlin and Maggie Smith old buddies from that time they both worked on 1999 film, Tea With Mussolini, Jennifer Lawrence and Amy Schumer are basically the new Tina Fey and Amy Poehler with their Billy Joel piano-dancing antics and their upcoming comedy movie together (should we expect future Golden Globe nominations? ), and Melissa McCarthy is just in with all of the comedy ladies because, well, she's Melissa McCarthy. We've got some partiers that are always just down for having fun, the Dame Maggie Smith herself, and the legend that is Lily Tomlin. However, Jennifer Lawrence is known to get very "competitive" when it come to these kinds of things. So, who may actually have a chance at the prize? 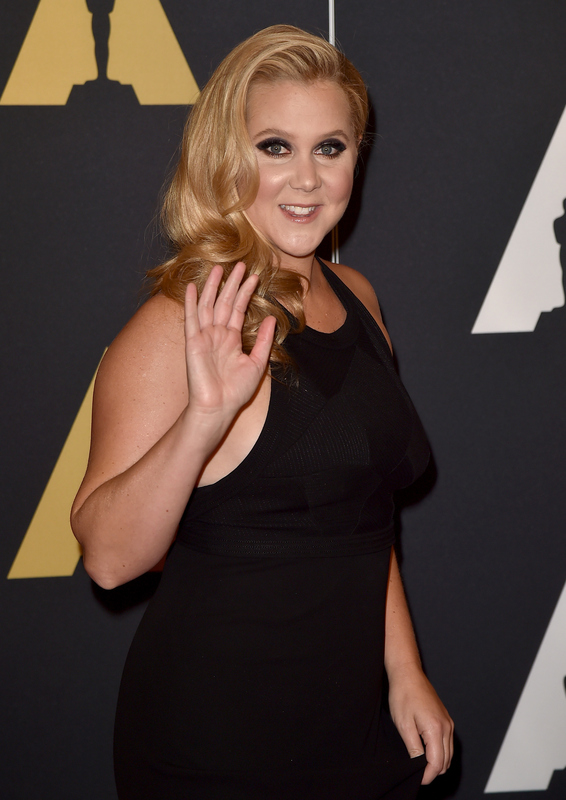 Will Golden Globe first-timers Amy Schumer and Melissa McCarthy lean the votes in their favor? Or maybe Jennifer Lawrence in yet another David O. Russell comedy will continue to steal the hearts of the Hollywood Foreign Press Association (HFPA)? It's hard to really tell how it will all go down on January 10th at this stage in the game. But as for now, who really cares?! Let the award season madness ensue!